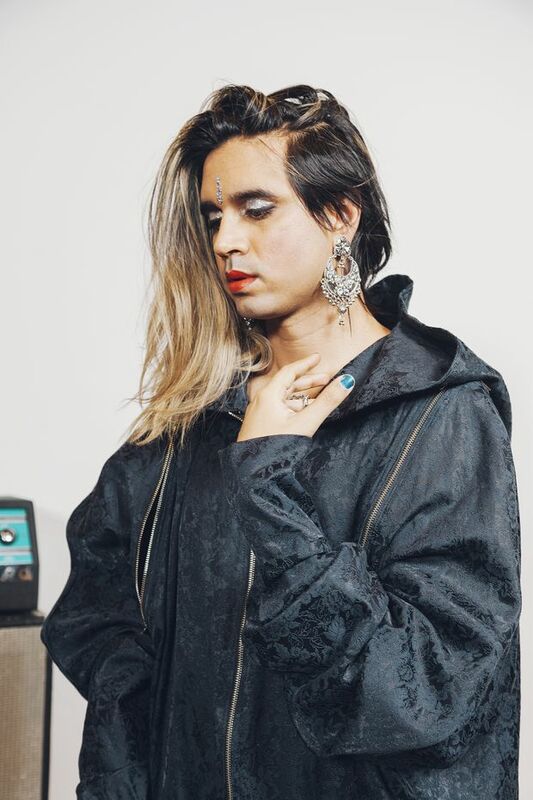 Author Vivek Shraya's latest book, I'm Afraid of Men, explores her fraught relationship with masculinity. Shraya’s latest outing, I’m Afraid of Men, is a similarly slim, accessible work that explores a compelling topic: her fraught relationship with masculinity. Her experiences as a queer trans girl, she writes, place her in a unique position “to address what makes a good man.” It’s why we’ve gotten together today in this artsy Lotusland neighbourhood to browse books, drink coffee and talk men. With the rain holding off, we head up the street to a packed, warmly lit coffee shop famous for its donuts, and settle in to chat, sharing a sourdough glazed. Born to an Indian immigrant family in Edmonton, Shraya (who recently moved back to her home province to accept an assistant professor position at the University of Calgary) grappled with identity early on. Both her attraction to boys and her femininity – detailed in the book as a “budding sashay,” “soprano laughter” and a fondness for her mother’s powder blue Jordache jacket – made for a rocky childhood and adolescence, during which she was repeatedly told she was gay. After finishing an undergraduate degree in English, Shraya hopped a plane to Toronto, seeking solace in the anonymity there. Walking around without being stared at, attending Pride and seeing she was not the only queer-identifying Indian man in the world – this meant a lot to her. She wrote the first of several books, the self-published God Loves Hair, and concentrated on her music career, forming a band with her brother, Too Attached, in 2015. All the while continuing to master a certain kind of hyper-masculine ideal: working out, waxing her chest, wearing a beard. For Shraya, it was embracing masculinity that ultimately allowed her to move beyond it. “It was only in learning how to be a man that I was able to let go of being a man,” she says. Shraya became interested in complicating the conversation around masculinity, asking: How are queer people complicit? How are trans people complicit? How are racialized people complicit? “I don’t let anyone off the hook – including myself,” she says. Shraya likes the contrast between the dramatic nature of the statement “I’m afraid of men,” and the fact that the book is, in fact, dedicated to a man: her current partner, Adam.